C-RAD provides training opportunities and deployment resources throughout the state of Colorado during all stages of avalanche search and rescue. 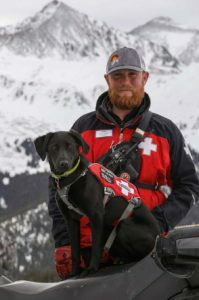 We test and validate aspiring dogs and handlers to ensure the highest standards for avalanche deployment are met. In addition to their full-time jobs, C-RAD rescue teams train for several hours each week so they can remain relevant as a key rescue service to the Colorado community. This requires dedication as well as funding, and we strive to deliver accessible and affordable training opportunities for all our members.